Purchasing essential business supplies and services can be a heavy burden on businesses and a real drain on time and money so firms need a diverse range of supplies and services to keep them running smoothly. This can range from pens and paper to toilet rolls and cleaning chemicals, business cards and brochures, to staff uniforms and office chairs. Managing the provision of these essential everyday products and services is crucial to a business’ success. But the procurement and supply of these can cause all sorts of hassle and headaches for your business, as well as huge hidden costs. Spending across multiple product categories across a mix of different suppliers can be very time intensive for purchasing and procurement departments. It can also make it difficult to control spend and gain a bird’s eye view of company-wide expenditure. In fact, businesses are often spending 2-3 times more than they need to on indirect procurement. The real cost of buying products can actually be up to 125% higher than the actual invoice cost. 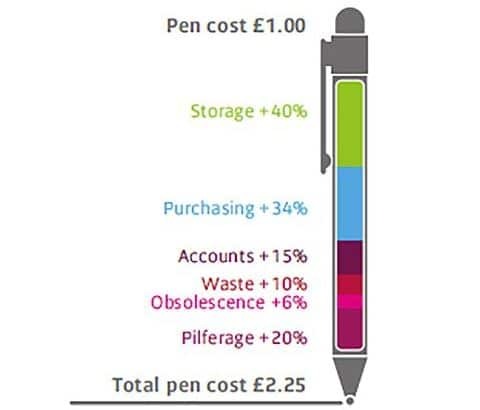 In real terms, that could mean that buying a £1 pen could actually cost you £2.25. Work that out across your total business supplies spend and I’m sure it’s a mind-boggling number, so where does it all go? Storage alone can add 40% and up to 15% can be wasted on creating P/O numbers, calculating invoices and processing payments. 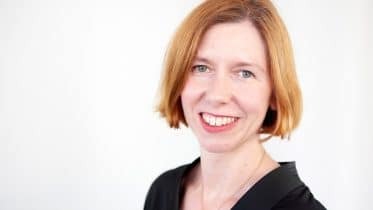 Pilferage, waste and obsolescence can tot up to almost 36% and then another 34% can be added on for the time and hassle of doing the actual purchasing – researching the right products, checking prices, ordering, chasing deliveries. So there’s a huge opportunity for significant savings and a new way of working. That’s where InOne with Irongate could help. InOne combines all of Irongate’s six specialist sub-divisions to enable a business to source everything it needs from just one supplier with one point of contact, one delivery and one consolidated invoice. It can save huge amounts of time, hassle and money on procurement and administration in your business.